Meet Madeleine Denison, new academic advisor in the College of Geosciences. Texas A&M University’s Departments of Oceanography and Atmospheric Sciences welcomed a new academic advisor, Madeleine Denison, this fall semester. Denison serves both graduate and undergraduate students in both departments. Denison received an undergraduate degree in English from the University of Louisiana at Lafayette. 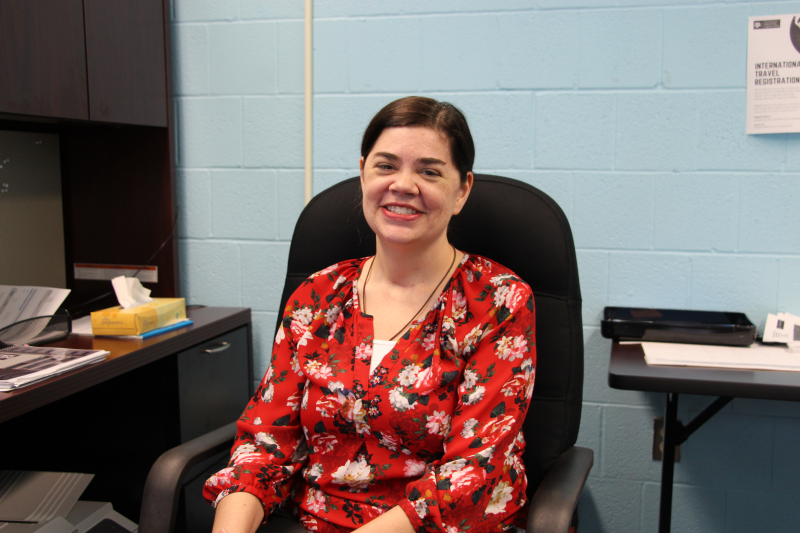 She began her career as an academic advisor at South Louisiana Community College (SLCC). After serving there for five years, she moved to Texas to be an academic advisor at the University of Houston, and then an advisor at Lone Star College (LSC)-North Harrison, eventually moving up in leadership and serving as a program coordinator at LSC. During her position at SLCC, she pursued a Master’s degree in communication, to complement her role as an academic advisor, and completed it while at LSC. Denison’s office is located in Eller O&M Building Room 114. For questions regarding academic information, contact advising-ocng@geos.tamu.edu or advising-atmo@goes.tamu.edu.